For the company that is pending, or has just been, accepted into the 8a Business Development Program by the SBA, the focus quickly shifts to realizing the benefits of the certification. Typically, the best new business opportunities for newly certified 8a Construction companies are found in three places. *Includes Government Marketing Level II, “Building your Marketing Plan”. You will be partnered with an Ez8a Partner who will work with you to build your marketing plan, which will maximize the utility of the above products. To help you achieve success, we have combined these needs into one integrated product focused on the needs of companies in the Construction industry. The registrations and reports that we provide can greatly accelerate your company’s revenue growth as a direct result of having earned 8a Program certification. Additional information along with samples is provided below the fee information. Prime Subcontractor Registration and Opportunities. This service covers two important areas: (A) Identification and registration with those Prime Contractors that have won recent Federal contracts that require the subcontracting of work to qualified small businesses, and (B) the identification of subcontracting opportunities that have been advertised on the SBA’s Sub-Net system. A) Prime Subcontractor Registration. 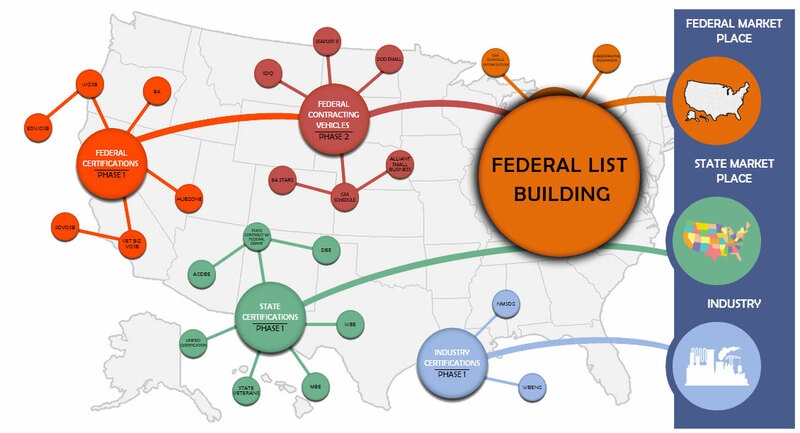 Specific to your geographic service support area, we will on-line register your business with the TOP 25 Federal Construction contractors (TOP 25 based upon the total amount of Federal contracts that have been won by the company in the last 2 years). Note: This is heavy data entry function which is done manually. Federal construction contracts that exceed $1,000,000.00, almost always direct that 23%, or more, of the work is sub-contracted with small businesses. Very often individual targets are included to direct work to 8a Program companies (often 5% of the total contract value). Your registration report will show which companies you have been registered to do business with AND it will contain your company’s user name and password information. It will also include the contact details for the company’s small business development/coordination office as well as the names of the Federal Agencies/Site Offices that they are currently or have recently supported. B) Sub-Net Subcontracting Opportunities. The Small Business Administration maintains the SUB-Net database, which lists those subcontracting solicitations and opportunities that have been posted by large prime contractors and non-federal agencies. On the typical day, 20-25 Construction industry “interested parties” listings are posted to the system. Ez8a will provide you will a list of all the opportunities posted to the system within the last 60 days for your State(s) of Performance (for up to 3 States). Contractor name, full address, and contact name and phone number. How many years certified as 8a (between 7-9 years) and graduation date. Total sales made to the Federal government. Note: Ez8a also assists with Joint Ventures (aka teaming/partnering) including negotiation and drafting the Operating Agreement and writing and assembly of package to SBA to request approval. 3) Government Engagement / Direct Marketing to the Government - Construction requirements are unique; they require Engineering design and quality assurance expertise as well as understanding of Bacon-Davis Act regulations. Accordingly, most Agencies have contracting offices that exclusively perform construction contracting. Based upon your coverage region, we will provide you with up to five (5) Site Office reports. 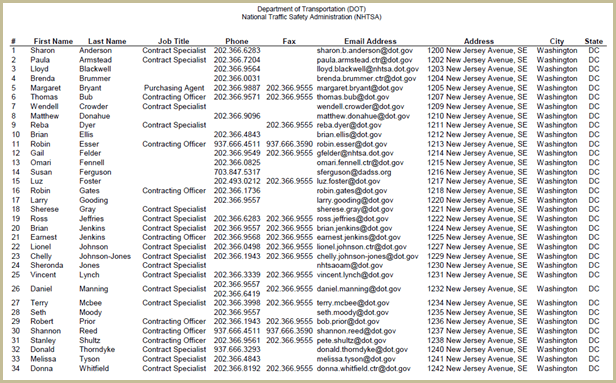 These reports contain the phone numbers and email addresses of the contracting officers who have solicited and awarded construction contracts within the past two years.